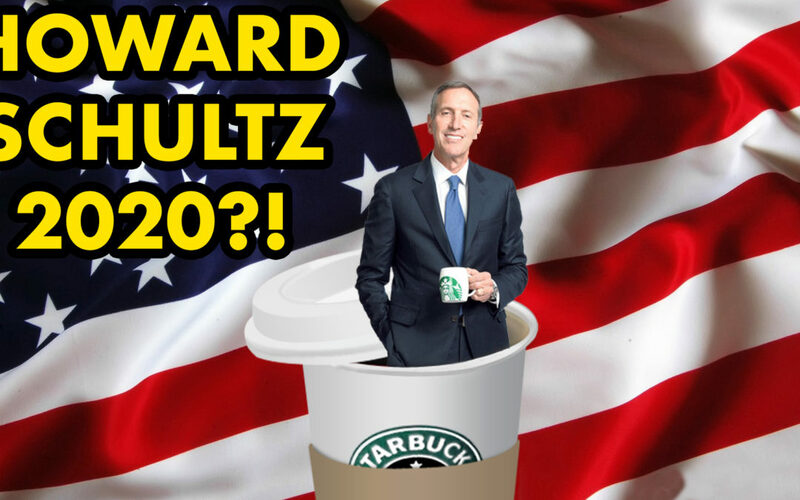 Is Howard Schultz a viable candidate for President of the United States? Or is he simply a spoiler candidate that has no chance of winning at all? We explore the candidacy of Howard Schultz candidacy from a number of different angles. The reaction from the media and from the left has been swift and severe, particularly because he is choosing to run as a Centrist Independent. Many fear Howard Schultz will split the Dem vote and make it easier for Trump to win re-election in 2020. Others simply object to Schultz because he is a billionaire. I don’t necessarily agree. I think many Republicans will consider Schultz when their other choices are a far left progressive representing the Democrats and Trump representing Republicans. There is a large swath of the GOP that only reluctantly support Trump simply because they don’t want a leftist in the White House. A “corporate democrat” may be more appealing to them then Trump’s lack of integrity, lack of morality and his foolish policies of a Trade War, a Wall, massive debt and more. I explore this issue further from the perspective of the stranglehold that the Republicans and Democrats have on the election process and the Presidential Debates in particular. In 2016 voters were desperate for a 3rd choice as an alternative to Trump and Clinton. Could Schultz play the role of breaking the Rep/Dem Duopoly? We also explore a wide range of other issues including Super Bowl LIII, Joe Namath, New Years Resolutions, the San Diego Padres, Bryce Harper, Manny Machado, San Diego Mayor Kevin Faulconer, WorldProgress.org, local politics in Chula Vista and Poway, Virginia Governor Ralph Northam and legendary Green Bay Packers Head Coach Vince Lombardi.